TORONTO -- Winter is coming and Stelco Holdings Inc.'s steel plant on the Canadian shore of Lake Erie is stocking up for the stormy months ahead. Iron ore from Minnesota and Appalachian coal are streaming off ships on conveyor belts toward the blast furnace and coke ovens. Behind the docks, 25-ton coils of steel are lined up for shipment, still radiating heat three days after they were produced. After decades of crisis, a renewed sense of purpose has settled over the 107-year-old company, which just completed the first initial public offering of a North American steelmaker in seven years. The question hanging over the reinvigorated enterprise is whether Stelco is finally on the cusp of sustained profitability, or whether it will wilt in an industry dominated by global giants and cheap Asian producers. In the pantheon of great Canadian corporate names, Stelco doesn't exactly scream confidence. The Hamilton, Ontario, Steel Company of Canada was once the country's biggest producer, with a work force of 25,000 in the 1970s. It's since gone through two stints in creditor protection while it struggled with operating losses, bitter labour relations, high debts and pension deficits. Its most recent owner, U.S. Steel Corp., plucked some of Stelco's best contracts and abandoned what was left of the company in 2015. Ahead, the winter freeze is the least of its worries as protectionist moves in the U.S. threaten to restrain its ability to expand in North America. Who in their right mind would want to take control of such a business? Steel is examined after being rolled into a giant coil. 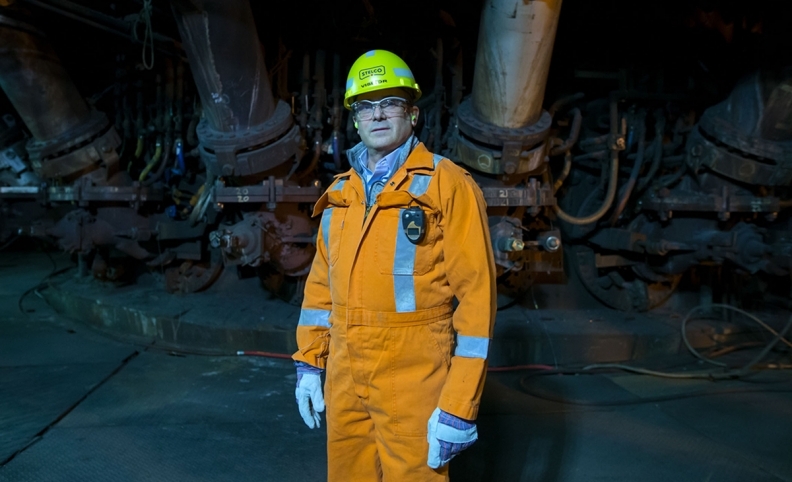 Meet Alan Kestenbaum, the 55-year-old Brooklyn-born turnaround artist who's now Stelco's principal owner and CEO. Where others see a picked-over carcass, Kestenbaum sees an agile global player. Where some see old facilities and a potentially fractious work force, Kestenbaum talks up unused capacity, strategic locations on the Great Lakes and fixable labour relations. Investors seem willing to give him the benefit of the doubt, for now. Stelco's stock is up almost 13 per cent since the company's C$17-a-share early-November IPO, giving it a market value of about C$1.7 billion ($1.3 billion). Bank of Montreal analyst David Gagliano initiated coverage with an outperform rating and a price target of C$23, saying, "Stelco represents a compelling investment vehicle within the North American steel sector." Purchased through Kestenbaum's Miami private equity firm Bedrock Industries Group in June, Stelco has major advantages over some of its predecessors and competitors. After C$4.4 billion of debt and pension obligations were eliminated through a restructuring that ended this year, Stelco has a clean balance sheet, along with C$230 million of fresh cash raised in the IPO. The company says in its prospectus its total costs are "among the lowest in North America" and it expects its margins to expand as it uses more of its assets and regains lost volume. What's more, Kestenbaum has a track record of finding and turning around struggling metal companies at Globe Specialty Metals Inc. of Miami, which he bought for $1 million in 2006. After 11 acquisitions and a merger with Grupo FerroAtlantica, Ferroglobe of London is now worth about $2.7 billion. Kestenbaum believes he can achieve similar returns at Stelco. "Two or three more acquisitions down the road and we'll turn around and we'll be C$6 billion, C$7 billion, C$8 billion, why not?," Kestenbaum says in an interview at Stelco's Lake Erie Works in Nanticoke, Ontario. The company declined to say how much Bedrock invested in the Stelco acquisition. Joe Ragan, who worked as Kestenbaum's CFO at Globe Specialty Metals, says the man has "the magic." "He always gets an extraordinary deal for the assets he buys," Ragan, now Ferroglobe's CFO, says of his former boss. "He's got a very sharp acuity on how to structure a deal to get a really good value." 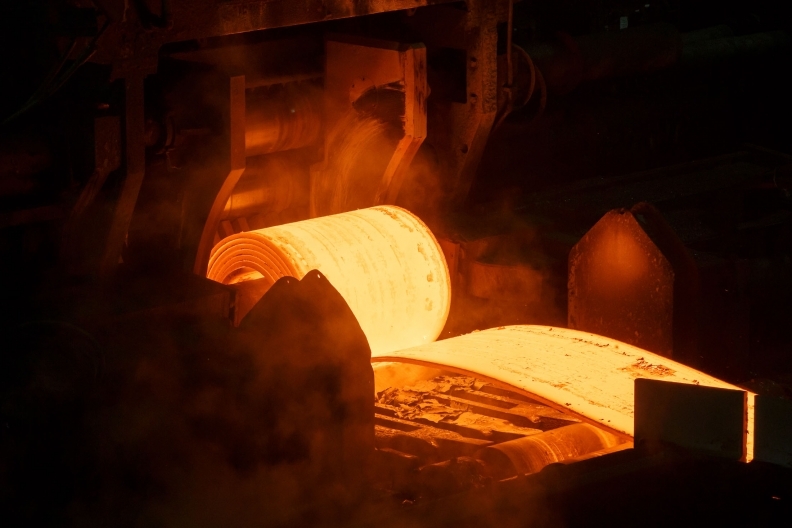 After being heated to 2,300 degrees, the steel slabs are rolled into thin strips and wound into coils. The origins of Kestenbaum's grand gamble on the Great Lakes trace back to an unsavory dispute over 40 cents. While he was still at Globe Specialty Metals, that company acquired a ferro-silicon facility in Bridgeport, Ala., from a New York hedge fund. When Kestenbaum looked into the situation, he was appalled at the way the workers had been treated. "All around this facility I saw probably the poorest neighbourhood I've ever seen in my life. These are US$5,000 homes and kids walking around without shoes," he recalls. "And I remember sitting with this hedge fund manager at the plant and he was bragging to me how he knocked US40 cents an hour off the workers, US$3.20 a day, for a savings of US$100,000 a year." When the deal closed, the first thing Kestenbaum did was to give workers back the US40 cents an hour. That move came to the attention of Leo Gerard, international president of the United Steelworkers union, who asked to meet him. "I thought that was pretty unique," Gerard said by phone from Pittsburgh. A few years later, Gerard suggested Kestenbaum take a look at a Canadian steelmaker languishing in bankruptcy protection. Kestenbaum's interest was piqued. "This is part of the payback for the lousy US$100,000 I gave to those workers in Alabama," he says. A productive labour relationship would be a sea change for Stelco. 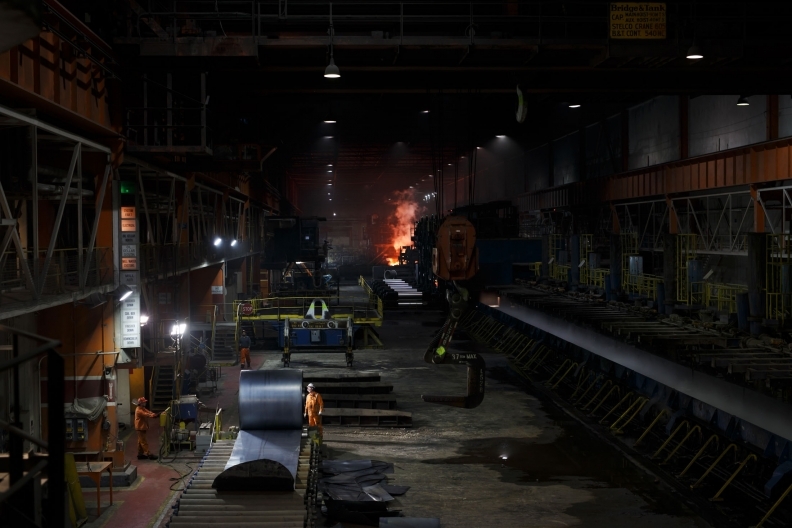 When it was a subsidiary of Pittsburgh-based U.S. Steel, the company locked out workers three separate times, was sued by the Canadian government for breaking employment promises after the financial crisis and finally shut the Hamilton blast furnace in 2013. "Hamilton was an Academy Award performance on both sides of how you do bad labour relations," said Peter Warrian, a senior fellow at the University of Toronto's Munk School of Global Affairs who is a former USW research director. "They both heavily invested in rewarding the wrong behavior." The Kestenbaum era looks like it's off to a better start. He has already secured a five-year agreement with the remaining 1,650 hourly workers, and he's made symbolic changes, such as allowing the union to fly its flag at the plants and inviting workers to a bell-ringing ceremony at the Toronto Stock Exchange. Forces beyond Kestenbaum's control have also been moving in Stelco's favor. Steel prices have been rising as China, the world's biggest producer, takes steps to reduce output to cut pollution and close illegal and inefficient plants, while prices for key inputs iron ore and metallurgical coal have declined in the past year. The near-term picture, though, looks less rosy. The unpredictability of the North American Free Trade Agreement talks is a risk for Stelco and its ability to win U.S. contracts. If Stelco gets through that unscathed, the Trump administration may still follow through on threats to slap tariffs on steel imports, or otherwise ramp up Buy American provisions limiting the use of foreign steel. The company is hinging a good part of its growth on winning contracts in the auto industry, which used to be an important part of its business before U.S. Steel migrated many of those contracts to its U.S. plants. This is where a collapse of NAFTA, which favors North American automakers, could really pose a "unique threat" to Stelco, Warrian said. U.S. Steel doesn't comment on its commercial relationships or labour relations of other companies, spokeswoman Meghan Cox said in an email. Stelco will have to offer lower prices to compete with its former parent company and other major players, and that won't be easy without scale, said James May, managing director of Toronto-based price forecaster Steel-Insight. "They're screwed in a downturn," when smaller companies will have to discount their price in order to generate sales, May said. Kestenbaum says his new company is ready for the worst. On the threat of reduced access to the U.S., he points out he's also looking to boost sales to Mexico and Europe, taking advantage of the company's location on the Great Lakes. And he says he'll be more careful than previous owners in preserving a clean balance sheet. "You don't take on debt that can only be repaid in optimal market conditions," he says. Back on the Lake Erie dock, the CEO will soon begin ramping up exports from a port that was primarily built for imports, with a goal of eventually exporting 500,000 to 1 million tons of steel a year to customers around the world. "We look at ourselves as a global player," Kestenbaum says.